On 1 March, performer and civil rights activist Harry Belafonte celebrated his 88th birthday. On 8 November last year, the Academy of Motion Picture Arts and Sciences presented Belafonte with its Jean Hersholt Humanitarian Award … and honored with an Oscar the man’s long pursuit of social justice. Swept into the civil rights movement with Rev. 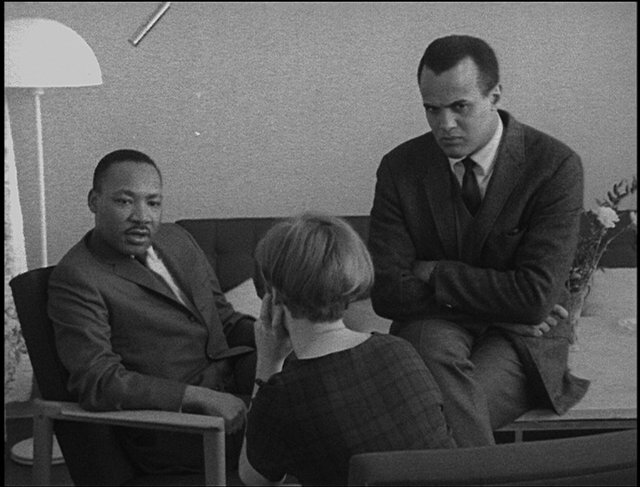 Dr. Martin Luther King Jr., Belafonte eventually shifted most of his energies from entertainment to advocacy: “I’m an activist who also became an actor,” said Belafonte, of his life’s trajectory. I found particularly compelling Belafonte’s recent revelations concerning a formative impact the film Tarzan had on his peers, when he was a young man (at 3:08 in his acceptance speech). Belafonte’s speech was still resonating with me when I happened to Google a former co-worker, from our days producing television news. I discovered Simi Bedford has twice published since our time in London. Her first novel, Yoruba Girl Dancing Girl, was published shortly after we left the program(me). It came as an even greater surprise that my well-spoken, one-time associate is also researching and writing on slavery issues. Not With Silver, an historical saga drawing on Bedford’s wider ancestry, was published in 2007 … in anticipation of the UK’s commemoration of the 200th anniversary of the abolition of its trade in slaves. Most reviewers credit Simi with presenting a colorful, inter-generational story-line that was informed by trustworthy, sociological analysis. Unlike Tarzan, “The first section, set in mid 18th-century West Africa, is a richly textured re-imagining of court life, governed by an elaborate set of rituals and ceremonies. The society is hierarchical and decorous, as Bedford counters racist descriptions … of Africa as a natural and civil wilderness,” reported The Independent. Simi herself declares her task was, in part, to get us to realize that not only were our notions of a primitive Africa incorrect, but she also wants us to appreciate abolition was not a whites-only initiative. I hope readers will spend 7½ minutes hearing her in her own words. Hardesty touched on racism and minstrelsy, here. Bravo. Fascinating post chocked full of interesting information and media. Thank you for introducing me to Simi. I will look forward to reading her book. “Tarzan…” does a fine job of opening up the question of how our common exposure to Hollywood and the “educational” system in this country links us all in profound and subterranean ways to white supremacy, though differently. Through our media and our lessons, all of us have been fed a mainstream racist kool-aid, “valorizing” all things white and European, while thoroughly denigrating (etymology?) all things of African origin — effectively creating a legacy of black pain and white obliviousness. There’s a crazy, ironic twist in Tarzan as a feral, white adonis (!) swinging in the trees without language “saving” colonized Africa from the nefarious Africans. Your quote from Belafonte’s comments about the systematic damage done to young black psyches by the explicit white hostility taught in these old movies is especially chilling. Also of relevance, I ordered Simi Bedford’s intercontinental family history, Not With Silver, as part of my long term mission to sand away some of my own unconscious Eurocentric cultural bias. Finally, for the project of decolonization, “It’s still a jungle out there” is a perfect metaphor for redefining who are the real savages. Thank you for the introduction to Simi and her work. In spite of my white dominant education, I knew there had been traditions of art, dance, music, and literature for millennia throughout Africa, but except for Egypt and Mali, I knew no specifics. I have also been aware of the ways European Americans systematically and actively destroyed every aspect of Native American culture and the cultures of Africans abducted into enslavement in North America. But I have paid less attention to the ways in which Europeans and Americans have undermined and buried the high cultures of Africa, not just failing to teach about them, but belittling and ignoring them. Valuable food for thought. Thank you; enjoyed the “chilling-ness” of Harry Belafonte’s childhood recollections of seeing the white Feral Tarzan. Never saw the movie when I was young. Was moved by his description of M.L. King. Also enjoyed the fascinating interview with Simi Bedford. I already read and love Equiano’s memoir. PS will look for her book, Not With Silver. Richard Prince, in his reporting, News Editors Promised Diversity Goals and Failed, links to Stephanie Foo’s article, What To Do If Your Workplace Is Too White. Both articles describe recruiting efforts. Some of you will enjoy learning how Joy DeGruy used her time in the theater. She’s an excellent storyteller. On facebook, HERE, from World Trust. Great piece Roger. Thank you for sharing. Perception is everything, especially the way we perceive ourselves.